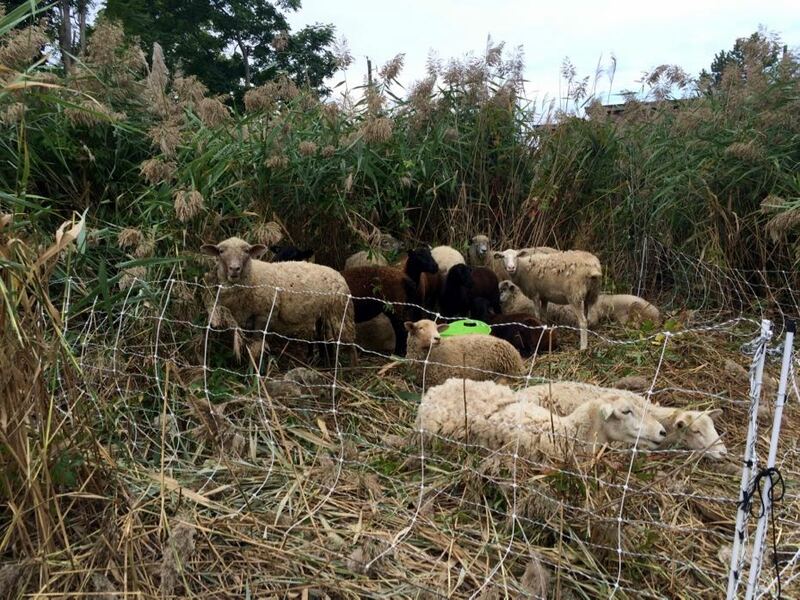 The stand of invasive plants the sheep were camped out in near Livingston Ave. The stand of plants is surrounded by a snow fence, and then inside that perimeter there's a solar-powered electric fence to keep the sheep focused in one area. Fleet stretching his legs. He's still not enthusiastic about having his picture taken. 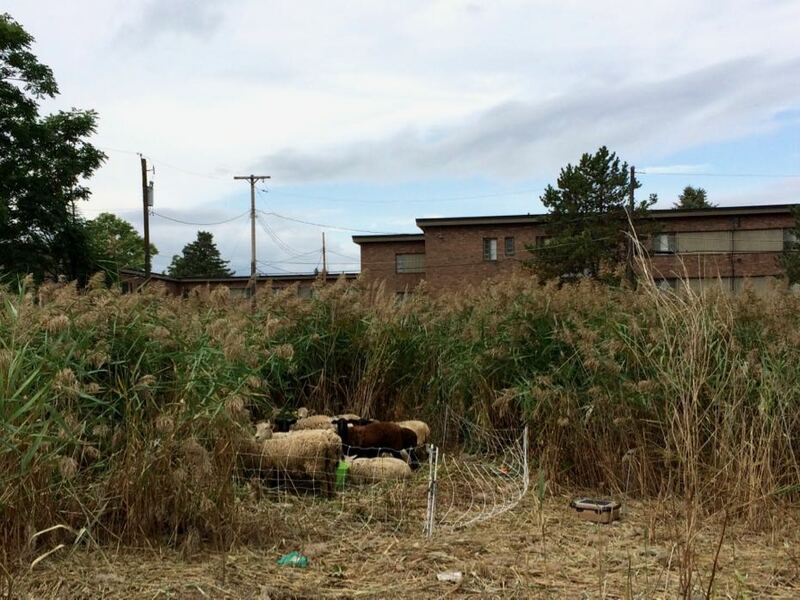 Grazing in the grassy area near the Judson Street parking lot. Fleet leads the way back to the overnight home for the sheep. 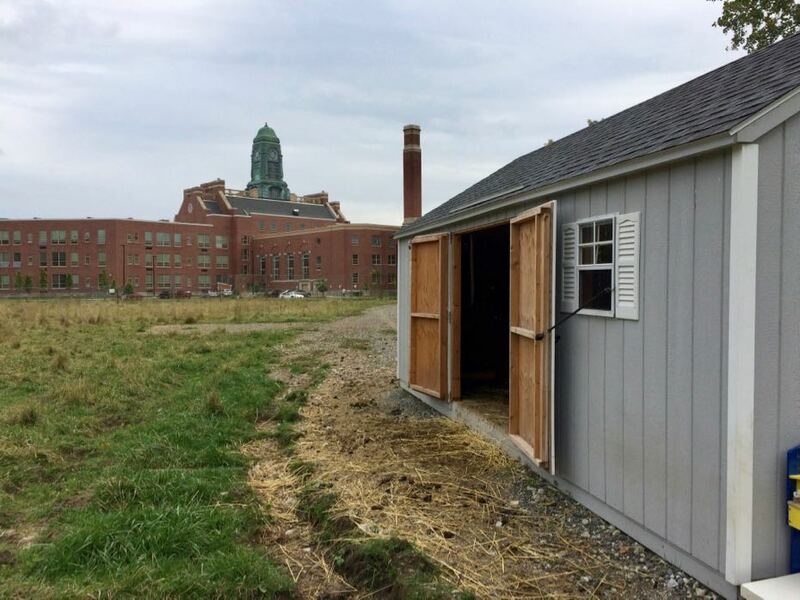 An old baseball field has been entirely fenced in to provide enclosure for the sheep and chickens and other farm activities. Fleet getting some love -- and grudgingly allowing his picture to be taken. Yep, this is the city of Albany. 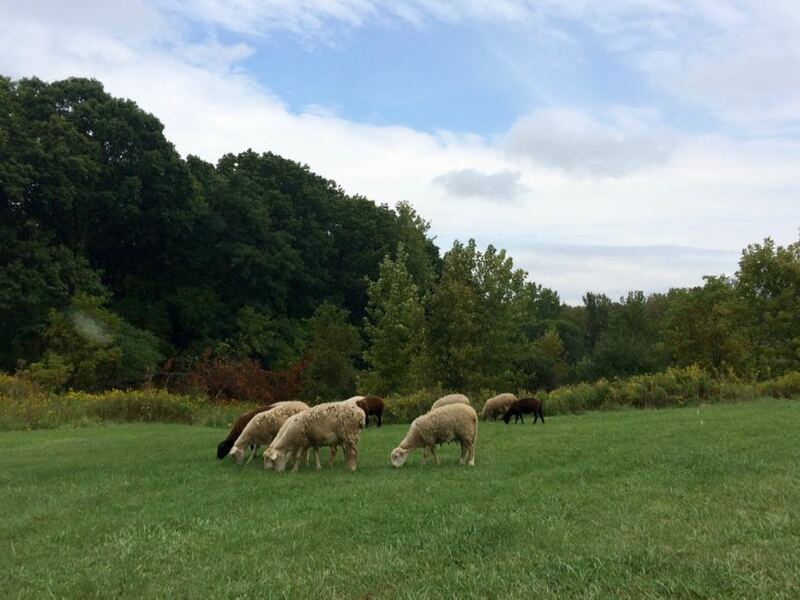 Among the newest residents of Albany's Tivoli Lake Preserve: sheep. 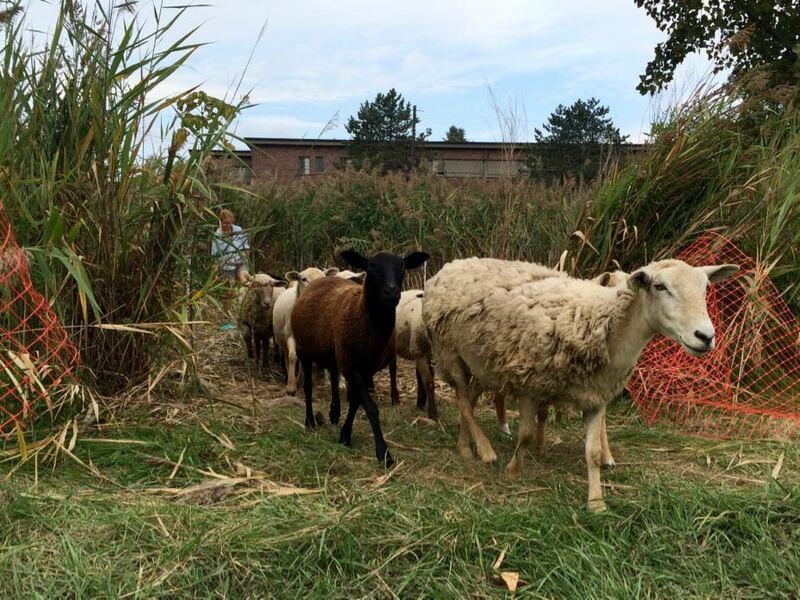 The small flock is there now as part of the Tivoli Preserve Community Farm project. 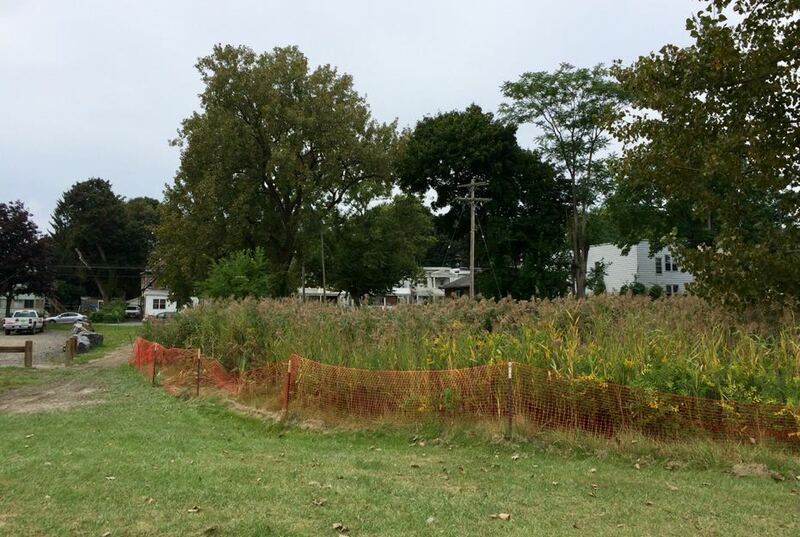 The goal is to build a working farm and community programs in the park on the north side of Albany -- and there's been a lot of progress in recent months. 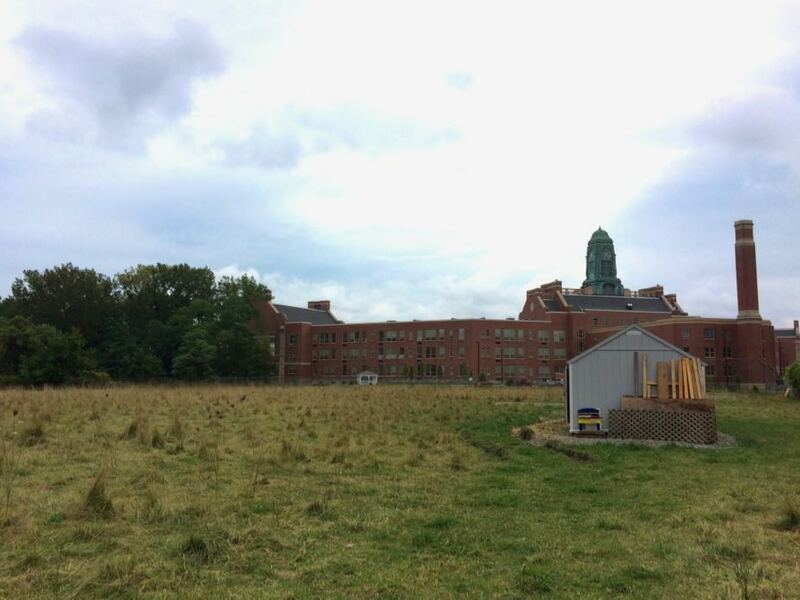 "It's just moving really quickly with help now," said Melissa Parade, the founder of the farm project, when we stopped by last week. "It feels really good." Here's some quick follow-up on what's happening. And a lot of sheep pics. There are a bunch of photos at the top in large format -- click or scroll all the way up. 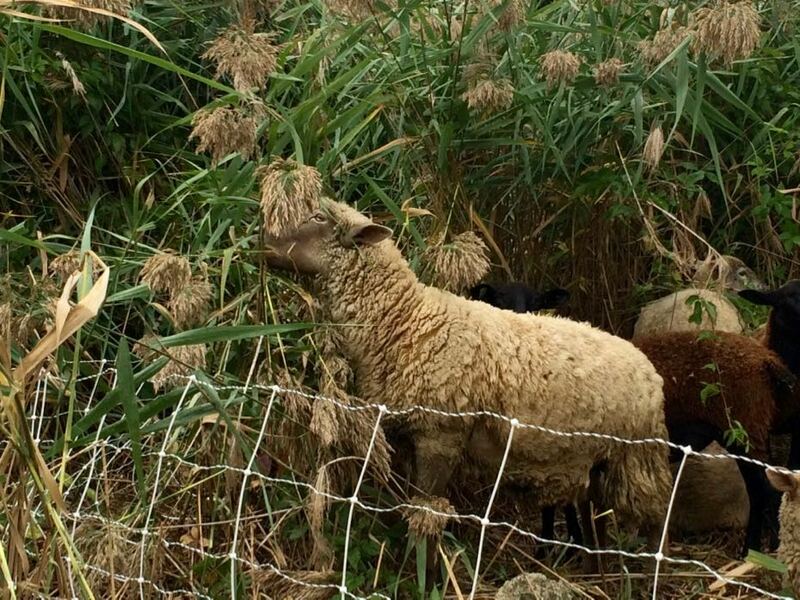 + Rotating sheep through the preserve to graze on invasive species and help improve the land. + A flock of chickens for egg laying. + Community outreach and educational programs. 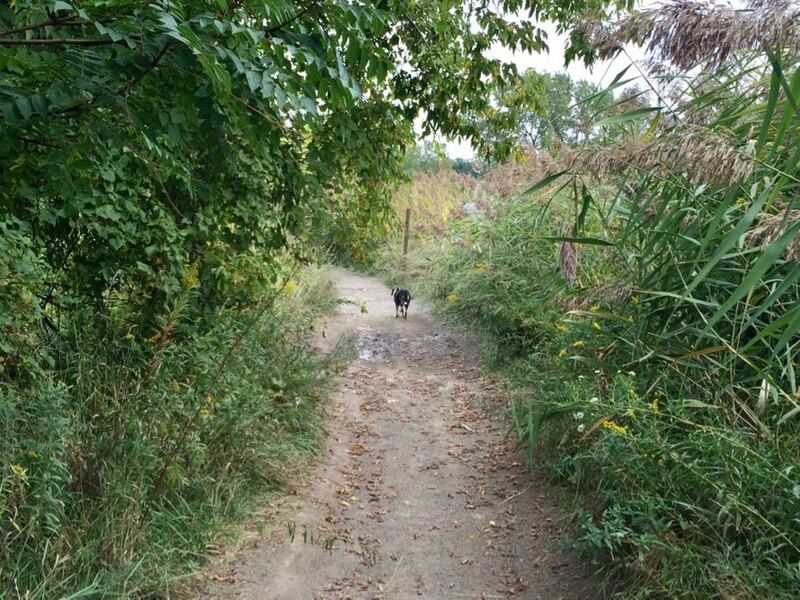 + And, planned for next year, the planting of crops and a community garden. Parade's been putting the pieces of the project together bit by bit over the last year. The project -- now officially the Tivoli Preserve Community Farm -- took a big step at the end of July when the sheep and chickens moved over to Tivoli from the city's Normanskill Farm. And Parade now has a group of volunteers working with her. 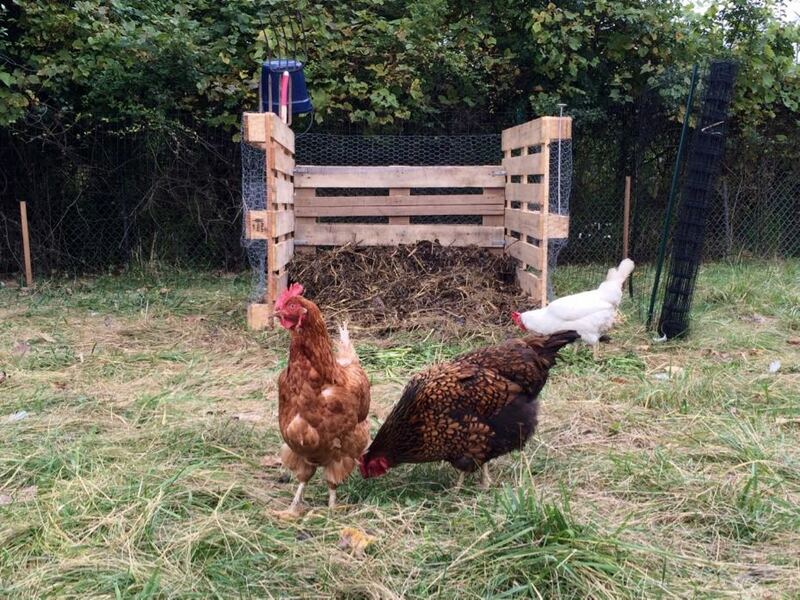 One of the goals for this past weekend: building a chicken coop. Parade said the sheep have already drawn a bunch of curious people from the neighborhood. "They're mostly like, what?! Are those sheep?" she said. "Everyone's been very welcoming." 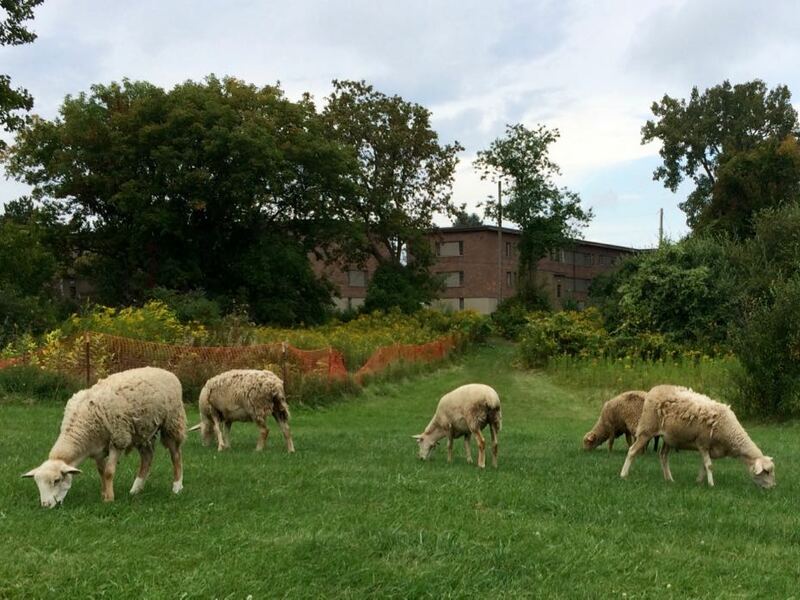 The sheep spend the night at a fenced-in former baseball diamond on the preserve's eastern edge, behind the former Philip Livingston School building that's been converted to apartments for seniors. There's a small shed there where the sheep sleep, along with the chickens, and a handful of composting bins. 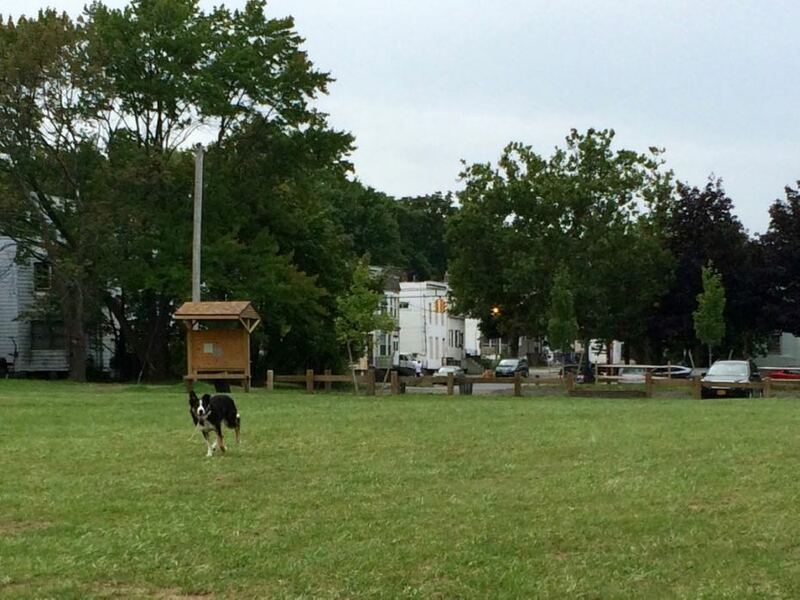 Parade moves them around the preserve with help of her border collie, Fleet. 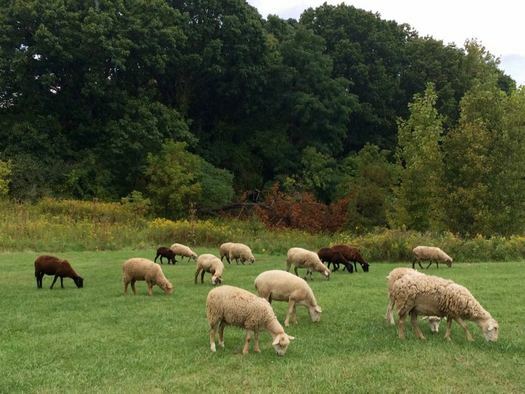 The sheep will at the preserve until late fall. Parade said it depends on the weather. She'll be moving the sheep back to the Normanskill Farm -- and its much bigger barn and hay storage -- when the cold and snow of winter kick in. Also this fall: Parade will be selling lambs for meat. If you're interested in buying a whole animal -- maybe for a restaurant or your freezer -- contact her at tivolishepherd@gmail.com for details about placing an order. 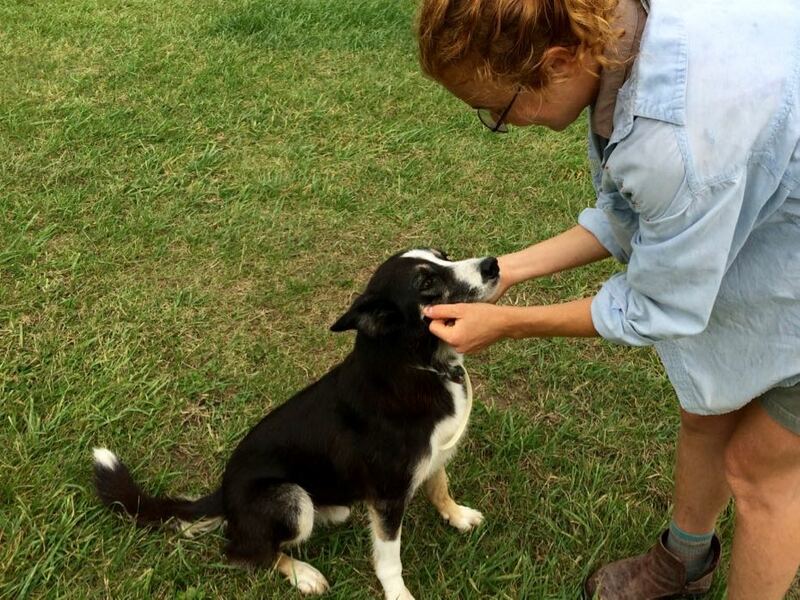 And if you're interested in volunteering, she says they welcome all sorts help -- whether it's with animal care, or work days, or gardening projects. Email tivolivolunteers@gmail.com to get in touch.